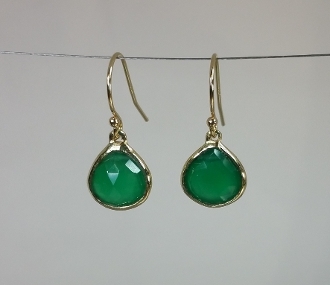 These green onyx pear shaped earrings are set in solid 14 karat yellow gold. *As seen on Emma Stone in La La Land with Ryan Gosling. ** We ship worldwide. Customs fees will apply to international orders and will vary per country.